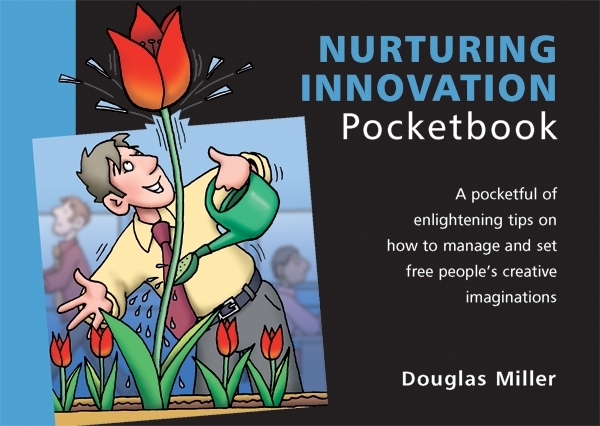 The Nurturing Innovation Pocketbook explains how managers can create an environment in which innovation thrives. It identifies the numerous barriers to innovation -organisational and self-imposed by individuals- and describes how through positive intervention these blocks can be cast aside. All innovation comes with a degree of risk. To manage the process successfully, the manager must determine the required level of innovation (four are described in the book, from incremental to transformational) and assess the associated risk. The manager must also be supportive of his team, acting as advisor, coach, promoter, sounding-board, resource provider and defender when ideas don’t work out. Nurture not stifle is author Doug Miller’s message!